This years Lead Poisoning Prevention Week has been spreading everywhere very quickly. While reading my daily news, I've discovered more and more people are aware of the dangers of lead poisoning. One topic that is slowly becoming viral in the internet, is a new documentary that will be released next year. The documentary is called, MisLEAD: America's Secret Epidemic. It is a film intended to create awareness of lead poisoning in children and for educational purposes. There is a trailer that you may see here but the film will not be released until later next year. However, if you are in the San Francisco area on October 25 there will be a special screening of the film. This film is project for a non profit organization, Lead Safe America Foundation. who want to bring parents and communities together to create awareness and protect children from environmental toxicity. Even though we can protect children from being exposed to lead in homes other places like their schools, child care centers and playgrounds can still have traces of lead. There is so much information about the dangers of lead poisoning and there is also so much action we as a community can do as well. Simply by sharing the information to others and being educated on the subject of finding ways to prevent lead poisoning can help one person. It is advised to be very cautious when handling any renovation project in your home. 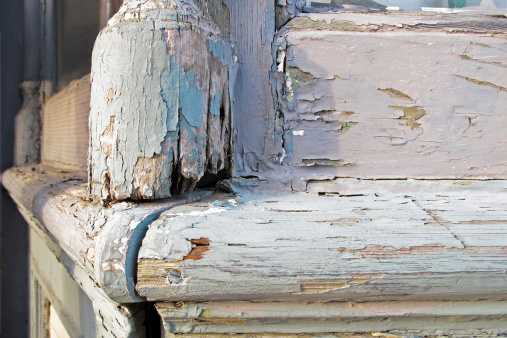 If you need any help on removing any lead based paint, Alliance Environmental Group,Inc is a certified lead removal contractor. Our professionals are trained in lead safe work practices of proper containment and removal, thorough site decontamination, and lawful disposal.